I dig a lot for experimental writings. 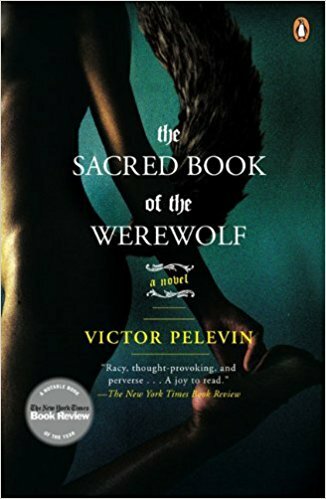 Here are some of my findings: [...] The Sacred Book of the Werewolf by Victor Pelevin. A. Huli, the heroine of Victor Pelevin's latest book, is beautiful, slender and curiously foxlike. She lives in Moscow and works as a classy prostitute in the city's premier hotels. But when a client goes inexplicably and fatally berserk at the sight of her in his luxury suite, A. Huli has to leave in a hurry. She decides to explore new avenues and place an ad on the internet - and that's when the trouble really starts. Victor Pelevin's new work of fiction is both a supernatural love story and an outrageously funny satirical portrait of modern Russia. With all his characteristic humour and metaphysical ambition, Pelevin introduces us to an unforgettable cast of perverts, former KGB agents, oil tycoons and amorous werewolves.